Our dairy products always start with farm fresh, wholesome milk. The texture is smooth and creamy with a pleasantly tangy and sharp flavour. Goat cheese curds are “French fry cut” and once thawed from frozen state, the cheese is semi-firm-to-touch when chilled, and soft when brought to room temperature. This makes it an easy ingredient to work with when incorporating into recipes. 100% Pasteurized Goat’s Milk, Sea Salt, Microbial Enzyme, Bacterial Culture. Goat’s milk cheese is a soft, unripened cheese with a unique flavour profile. 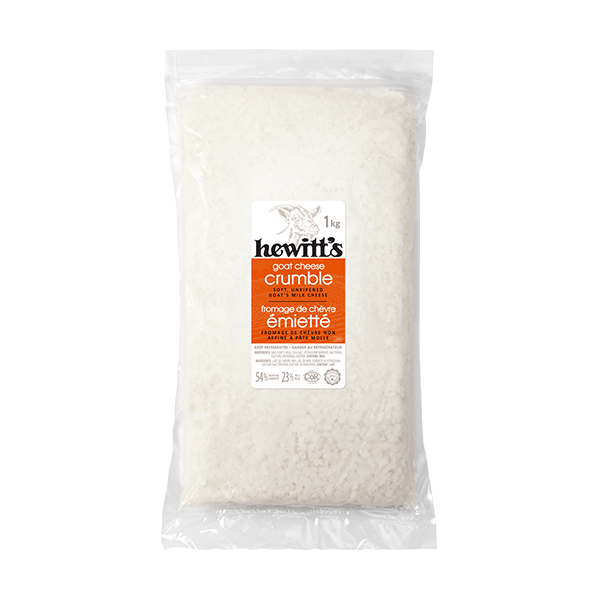 Smooth and fresh on your palate, this product is made with fresh, pasteurized Canadian goat’s milk. Great addition to salads, appetizers, pizza, sandwiches or burgers. 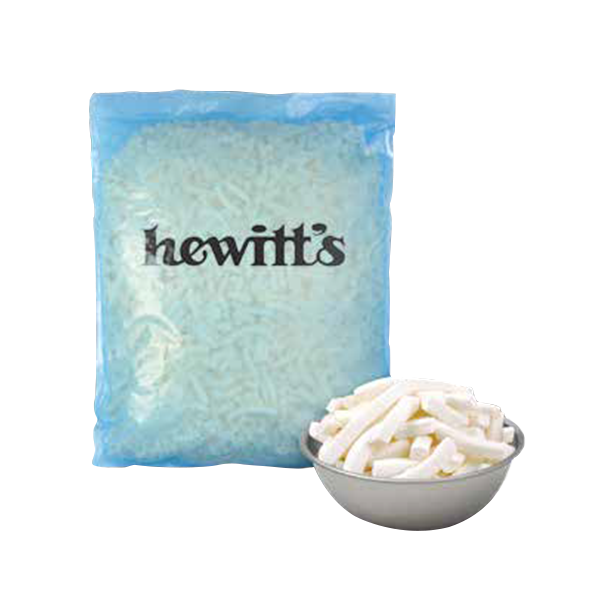 100% GOAT’S MILK, SEA SALT, POTASSIUM SORBATE, BACTERIAL CULTURE, MICROBIAL ENZYME. Goat’s milk cheese is a soft, unripened cheese with a unique flavour profile. 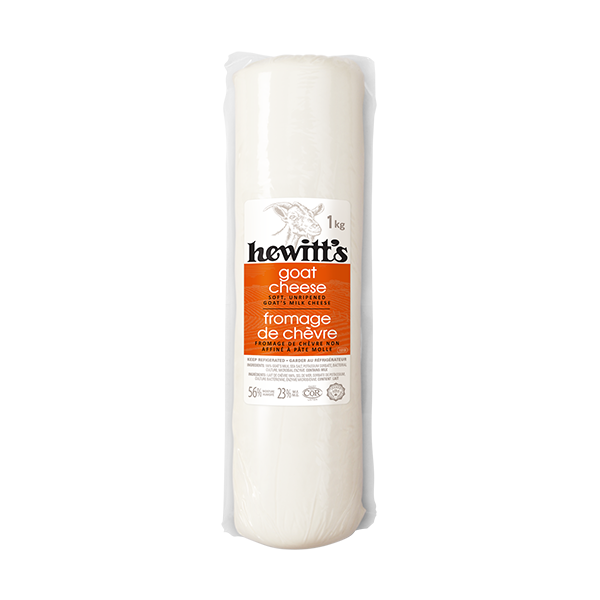 Smooth and fresh on your palate, this product is made with fresh, pasteurized Canadian goat’s milk. With its convenient package, this is a great addition to salads, appetizers, pizza, sandwiches or burgers.